If you have been searching for Bowflex PR3000 reviews, I have got you covered. In this post, I will share with you the features and benefits of this home gym and, if anything, what I don’t like. If you are ready to take the plunge and buy a home gym, please keep reading. Just to let you know a little bit about me. I have been dealing with back pain most of my adult life. In late 2015 I suffered a pretty bad back injury which took months of chiropractic visits and rest to recover. I had a blown disc and sprained SI joint. I was bent over at about a 30-degree angle for many months and was not able to workout at all. After working with a fantastic chiropractor, I finally got to the upright position. After about 6 months from the time of my injury, I was finally able to start working out again. This was a big step for me. My focus with this website is to help people with back pain build a stronger body and especially core muscles to help support the spine. I believe a home gym is perfect for accomplishing these goals. So, let’s talk about this home gym from Bowflex. Now in case you don’t know, Bowflex is a leader in home gym systems and have been designing them for about 30 years. When I think about home gyms, Bowflex is one of the first, if not the first name to pop into my head. For many people, it’s a struggle to get to the gym. People have such busy lives, with work, family, kids, etc, there are a lot of demands for our time. The last thing you want to do sometimes is to get back in the car after a long day at work, and make one more trip, the trip to the gym. This is why many people have gone the route of purchasing a home gym. You can get a great workout on your schedule in the comfort of your own home. No more costly gym memberships on a monthly basis. Of course there is the initial investment, but you can make up the cost with the money you save on a monthly basis for your local gym. Another issue is that once you get to the gym, often times there are so many people crammed in there, and seemingly someone is always using the machine you want. Anyway, the benefits of a home gym are definitely something to consider if you are looking for a different way to get your workout in on your time. The Bowflex PR3000 packs a lot in this space-saving design. 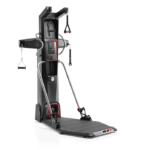 You have the capability to perform over fifty different exercises all with this machine. You can work all the major muscle groups which will help to strengthen not only your core, but give you a full body workout as well. With Bowflex’s Power Rod technology, the workout is a little different than with free weights. These resistance rods are kind of like a bow, when loading an arrow. It starts out easy at first and the further back you the arrow, the harder it gets. This is how the Bowflex system works. This is something to keep in mind when you are considering a Bowflex machine. You will still be able to get a great workout, but it’s just different than what you might be used to. If you choose to add additional weight to your order, the extra 100 pounds comes as two, fifty-pound rods. The PR 3000 from Bowflex comes with a no change cable pulley system. This means that you can move seamlessly from one exercise to the next without having to change the cables. You can save time with this system and get a very efficient workout completed. The machine does come with a leg extension attachment, which is a great feature. The only bummer is that this machine is not designed to allow for seated or lying leg curls. I do a lot of leg curls which really strengthen my hamstrings, so for me this is kind of a big deal, but not so for everyone. Some people turn around and face the machine and do a standing leg curl, so that is an option. 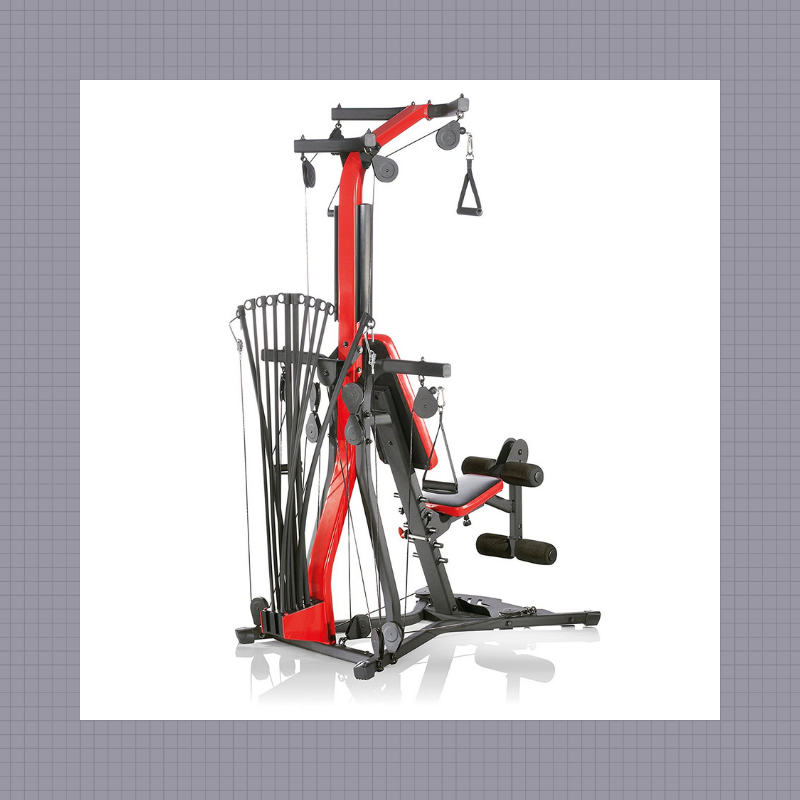 The PR3000 does not include a lat pulldown bar, but you can purchase one separately. You can do lat pulls with the handgrips that are included, so you can still get the functionality that way. This machine offers the ability to do squats, but again the squat bar is also additional. Some people have said they really like doing squats, with the additional bar and extra weight you can purchase. The seat height is adjustable, all you have to do is remove the leg extension attachment and you can raise and lower the seat for a lot of different angles and exercises. This is a pretty basic machine that has the capability to upgrade. I think this is a great entry point for a lot of people and yet you can grow with this unit by adding additional resistance and attachments for additional exercises. If you are just beginning, or it’s been a while since you have worked out, Bowflex has got you covered. Bowflex includes sample workout routines in the owner’s manual along with images of how to perform the exercises. They recommend starting out 3 days per week for 20 minutes each session. As you can see, it’s a pretty efficient way to get started. I would recommend checking with your doctor before you begin an exercise program. Although it is a good manual, the owner’s manual for the Bowflex PR3000 doesn’t have quite as much detail as some of the other models. The other manuals have more in the way of workout and nutrition information and tracking. Not a big deal, but just something I noticed. Bowflex recommends you check the machine for worn or loose components prior to each use. Cleaning the machine should be done with non-abrasive household cleaners after each use. You don’t want this thing getting stinky on you LOL. Some key things to think about and pay attention to, as we will get into the fun part next. The unit does not come fully assembled, big shocker. You will have to put about 4 hours on your schedule after it arrives, in order to build this machine. Now is when you find out if you have any “real” friends or not. I joke of course, but seriously a helping hand would be really nice to build this. I love this kind of stuff, so for me it would be fun, but maybe not for everyone. Who is this machine designed for? I think this machine is great for people who are beginning to work out as well as more the more advanced, who want to maintain and build muscle. If you are a bodybuilder, this machine is not for you. However, if you want a quality, efficient workout, this is definitely a machine to consider. If you work out a lot, I do believe you can still get a great workout from the Bowflex home gym. One thing to consider would be adding the extra resistance as that might be the only thing lacking for someone who works out a lot. If you are a beginner, then this is a great machine for you, and it will grow with you. Well, that about covers it. 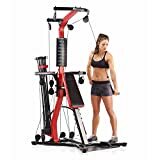 I do think that this home gym from Bowflex is a great option for people who want a functional all-in-one home gym. You can perform a lot of exercises and you can work out on your schedule. I think that the biggest drivers for people deciding to invest in a home gym are convenience and functionality, and the PR3000 offers both. I also believe the price is fair and you can save a lot of money on gym memberships over time. Sure, you have to make the initial investment, but then you save over the long haul. 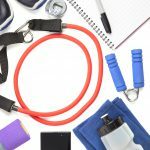 I have also written an article about tips for purchasing a home gym, which will give you some pointers and things to consider before you take the plunge. Please check out my post for other home gym options that are available. Upgradable resistance to 310 lbs. I would like to know what you think about this machine. What piqued your interest in a home gym? Do you like the functionality of the Bowflex PR3000? Thank you for taking time out of your day to read this review. I hope you have found it helpful and informative. If you have any questions or comments, please leave them below and I will get back to you as soon as I can. 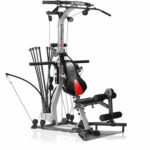 Bowflex Xtreme 2 SE Review – Are You Extreme? Bowflex HVT Review – Start Here! Hey Steve, I really enjoyed reading your review of the BOWFLEX PR3000. I love the fact that I can do almost every kind of workout on it. plus the price is actually pretty reasonable. I would rather pay a little bit more than ending up with a machine that doesn’t really does its job well. I also like the that there are no weights on it so I could move it when I need too. Hi Aaron, thank you for your comment. I think that is one aspect that is often over looked, you don’t have to move weights around with the Bowflex PR3000. I know at gyms a lot of people don’t put their weights away when they are done, leaving if for someone else to do. With the Bowflex, switching out the weight is super easy. Thanks for stopping by, I appreciate it. Is this machine better at developing more functional strength compared to traditional weight trading equipment? I am not interested in getting bulky from pushing a heavy amount of weight. The sports I participate in require more endurance but I still want to add strength to my arsenal. Thank you for your help. I don’t know that I would say that this machine is more for functional strength than gym equipment. You can perform a lot of exercises with this home gym (50+), like you would at a gym. Bulking up is going to depend on how you eat and how you workout. This machine is an option for people who don’t have a lot of time to spend at the gym, or don’t want to pay a membership each and every month. You can definitely get a good workout with a Bowflex home gym. Thanks for stopping by, I appreciate it. I am a work out at home guy so a machine like the Bowflex PR3000 is what I should look for. However, I noticed that there are as many negatives as positives for this machine. A pull up and squad bar would be appreciated as these are basic exercises for the core. Gladly, I found out that you have included a link for other more expensive and better machines si I will take a look at them, too. Nice post keep it up! Thanks for your comment, I appreciate it. Yes, a chin up bar and squat bar would be nice additions to this machine, of course you can purchase the squat bar separately. I am glad you found the link to other home gyms if you are looking for more features. There are a lot of gyms to choose from, so hopefully you will be able to find one that fits your needs. Everyone has different needs and not everyone can do a chin up, so I think Bowflex has done a pretty good job on the PR3000. Thanks for this great review about the bow flex. I am actually thinking about working out again, and having a Home gym would be awseome. I’m not sure if I missed this, but what type of exercises can you not do with this machine? Also are there any alternatives you think are better — or is this your number one recommended work out Home gym? It really depends on what you are looking for in a home gym. This is a great option for people like yourself who have either been away from working out, or have never worked out. There is an option to add more resistance to this machine, so you can grow with it. As for a #1 recommendation, that is a tough one, since so many people have different needs and goals. I think this is a solid machine for a lot of people. It is well priced and versatile. I do have another post which includes other home gyms if you want to check that out, best home gym system. Thanks again for your comment, I really appreciate it. Just looking at the Bowflex PR3000 reminds me of when I would use the Pro-Form Cross trainer home gym in my parents basement in the late 90’s – mid 2000’s. They really are convenient when you don’t have time to waste gas money to get to a gym. Without the lat pull-down bar I cannot see myself spending money for this version, but then I saw the Xtreme version at the bottom of this post, now that’s what I’m talking about!!! Really appreciate your review and adding the pros and cons, so the reader knows what they’re buying. Thank you for stopping by, I appreciate your comment. Yes, I like to point out the good and the not so good, because as you said, I want people to know what they are getting. I am a pretty picky consumer, so I want to have all the information to make an informed decision. Glad to hear you like the Xtreme 2 SE, that is a great option as well. Thanks again for giving me some of your time today.